Social anxiety disorder, also known as social phobia, is an anxiety disorder characterized by intense fear in social situation causing considerable distress and impaired ability to function in at least some parts of daily life. Generalized social anxiety disorder typically involves a persistent, intense, chronic fear of being judged by others and of being embarrassed or humiliated by one's own actions. These fears can be triggered by perceived or actual scrutiny from others. While the fear of social interaction may be recognized by the person as excessive or unreasonable, overcoming it can be quite difficult. (Anxiety & Panic Disorders Health Center). Those who suffer from social anxiety disorder are afraid of being judged by others in society. People who suffer from this disorder may behave a certain way or say something and then feel embarrassed or humiliated after. Therefore, they choose to isolate themselves from society to avoid such situations. They may also feel uncomfortable meeting people they do not know and act distant when they are with large groups of people. In some cases they may show evidence of this disorder by not making eye contact or blushing when someone is talking to them. The amygdala is part of the limbic system which is related to fear cognition and emotional learning. 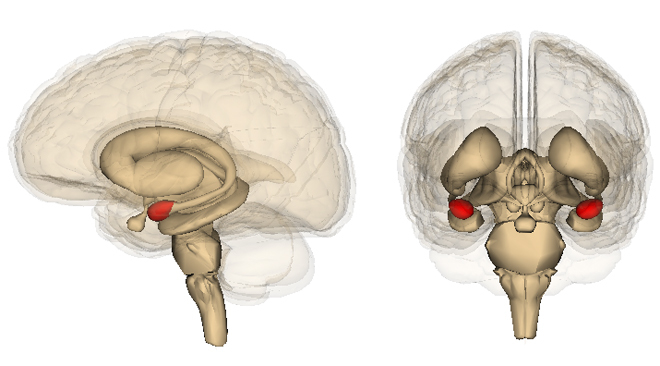 Individuals with social anxiety disorder have been found to have a hypersensitive amygdala, for example in relation to social threat cues (e.g. someone might be evaluating you negatively), angry or hostile faces, and while just waiting to give a speech. Recent research has also indicated that another area of the brain, the anterior cingulate cortex, which was already known to be involved in the experience of physical pain, also appears to be involved in the experience of 'social pain', for example perceiving group exclusion. The National Comorbidity Survey of over 8,000 American correspondents in 1994 revealed 12-month and lifetime prevalence rates of 7.9 percent and 13.3 percent, respectively; this makes it the third most prevalent psychiatric disorder after depression and alcohol dependence and the most apparent of the anxiety disorders. According to U.S. epidemiological data from the National Institute of Mental Health, social phobia affects 5.3 million adult Americans in any given year. Cross-cultural studies have reached prevalence rates with the conservative rates at 5 percent of the population. However, other estimates vary within 2 percent and 7 percent of the U.S. adult population. The mean onset of social phobia is 10 to 13 years. Onset after age 25 is rare and is typically preceded by panic disorder or major depression. Social anxiety disorder occurs more often in females than males, but men are more likely to seek help. The prevalence of social phobia appears to be increasing among white, married, and well-educated individuals. As a group, those with generalized social phobia are less likely to graduate from high school and are more likely to rely on government financial assistance or have poverty-level salaries. Surveys carried out in 2002 show the youth of England, Scotland, and Wales have a prevalence rate of 0.4 percent, 1.8 percent, and 0.6 percent, respectively. The prevalence of self-reported social anxiety for Nova Scotians older than 14 years was 4.2 percent in June 2004 with women (4.6 percent) reporting more than men (3.8 percent). In Australia, social phobia is the 8th and 5th leading disease or illness for males and females between 15–24 years of age as of 2003. Because of the difficulty in separating social phobia from poor social skills or shyness, some studies have a large range of prevalence. 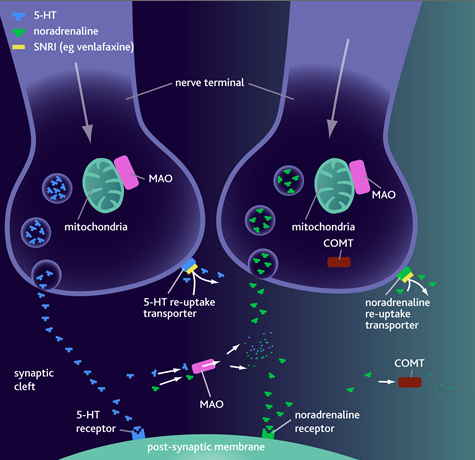 Serotonin-norepinephrine reuptake inhibitors (SNRIs) such as venlafaxine have shown similar effectiveness to the SSRIs. In Japan, Milnacipran is used in the treatment of Taijin kyofusho a Japanese variant of social anxiety disorder.